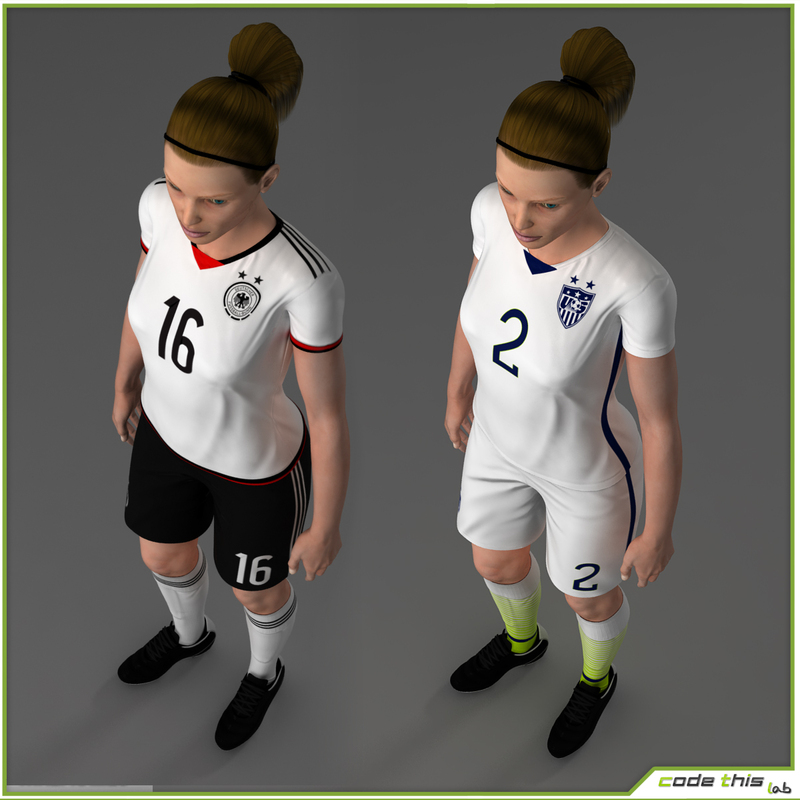 The package includes GERMANY and USA jerseys. 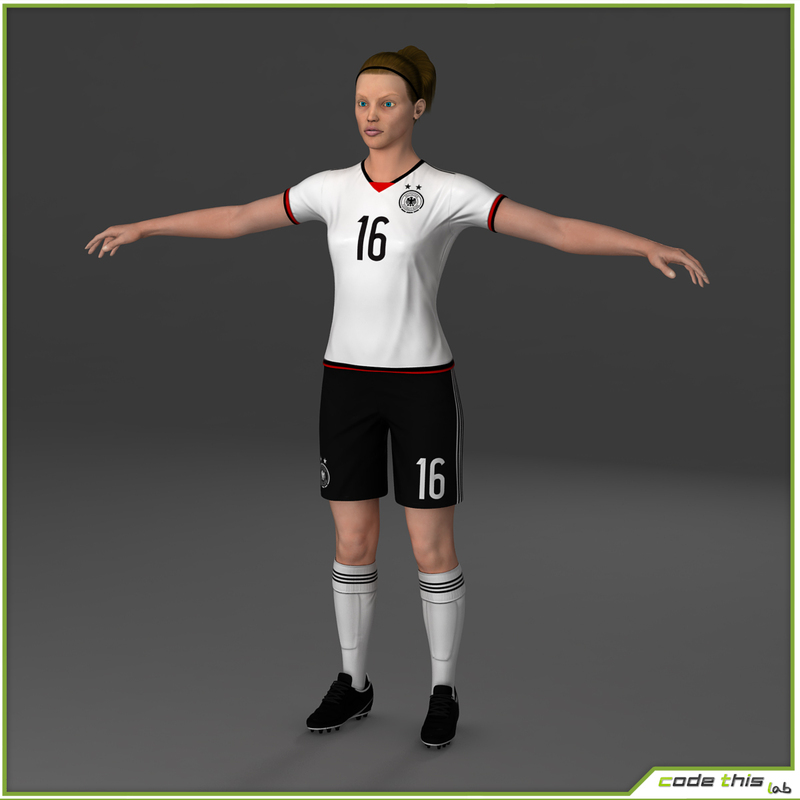 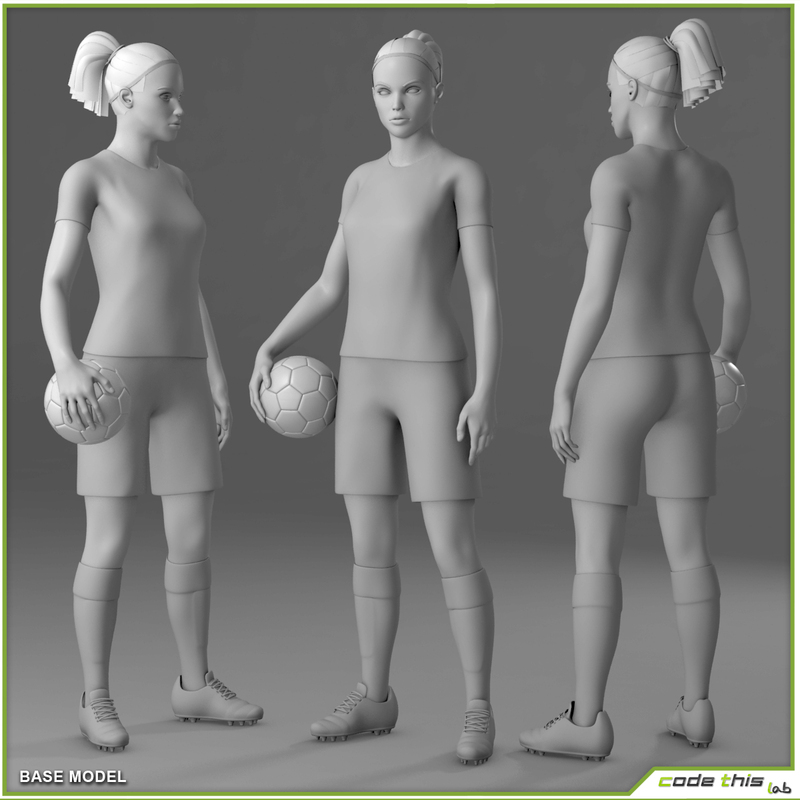 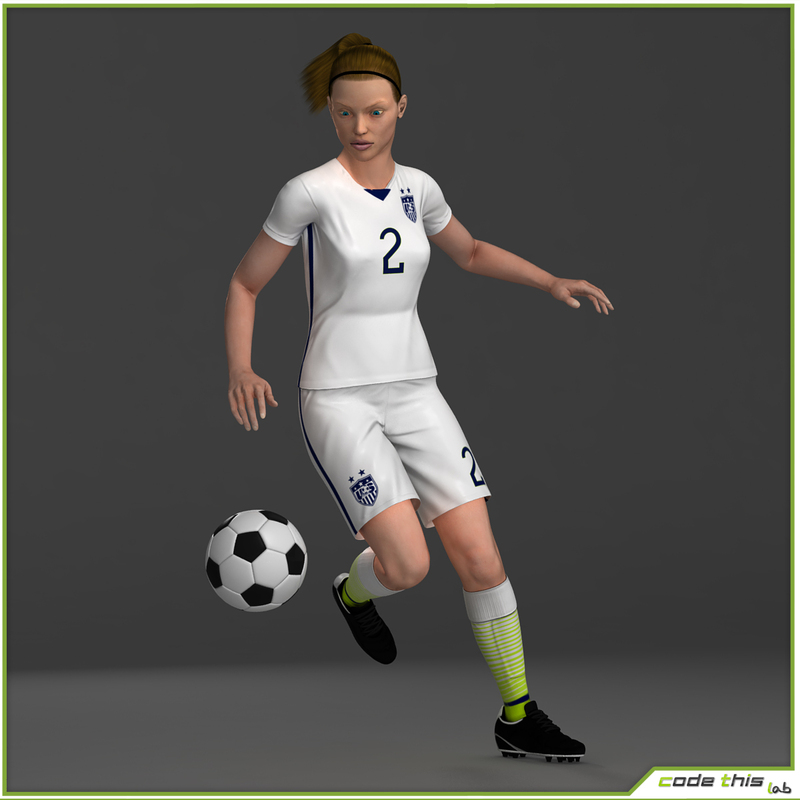 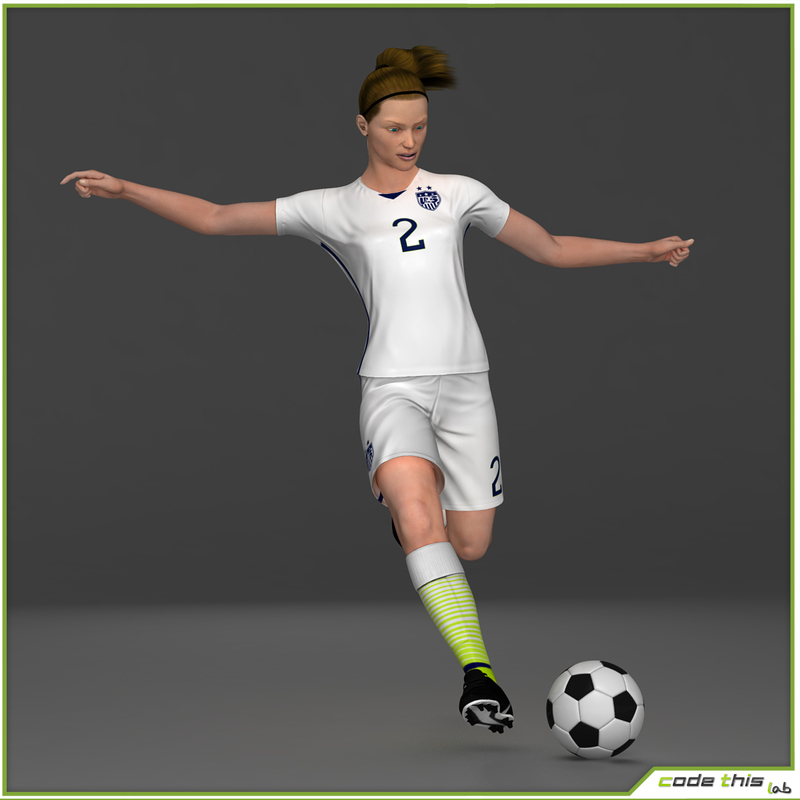 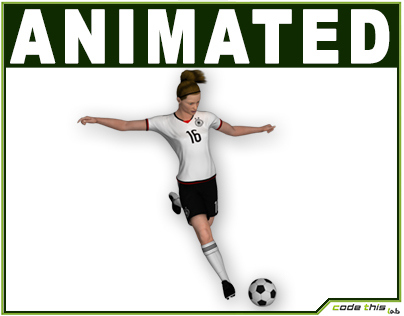 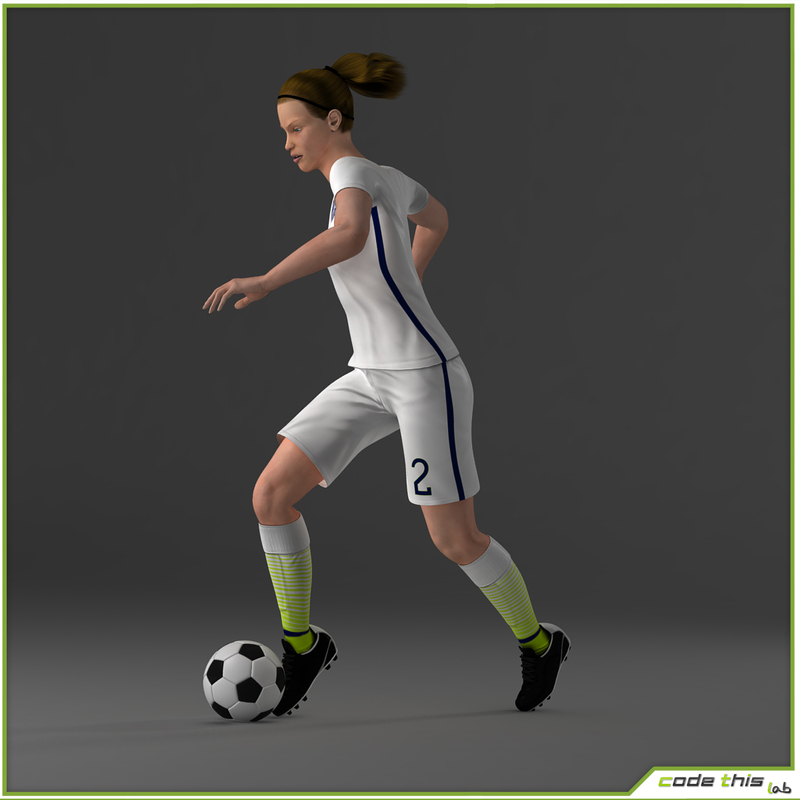 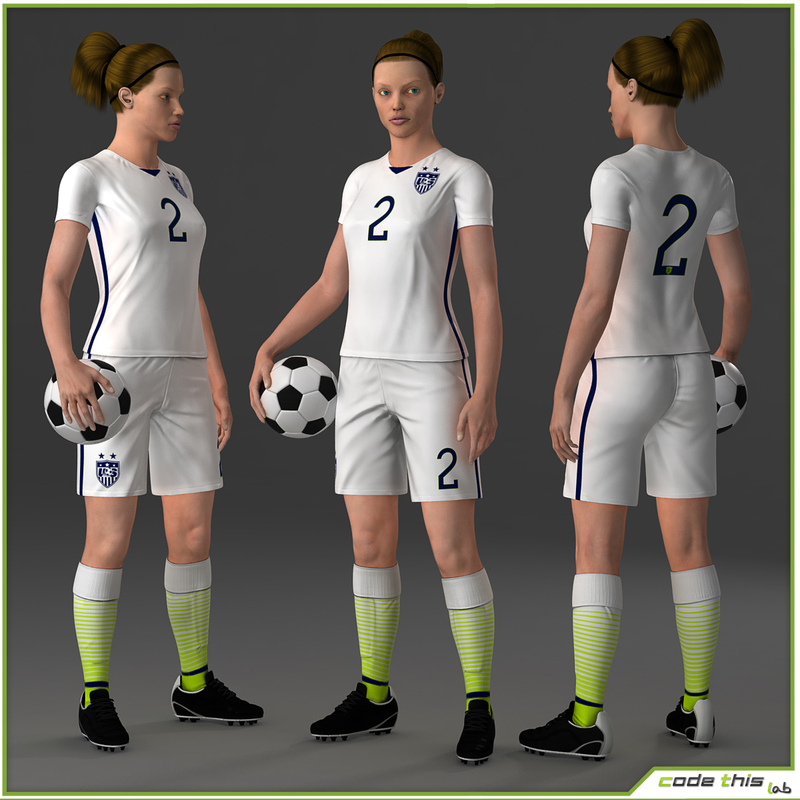 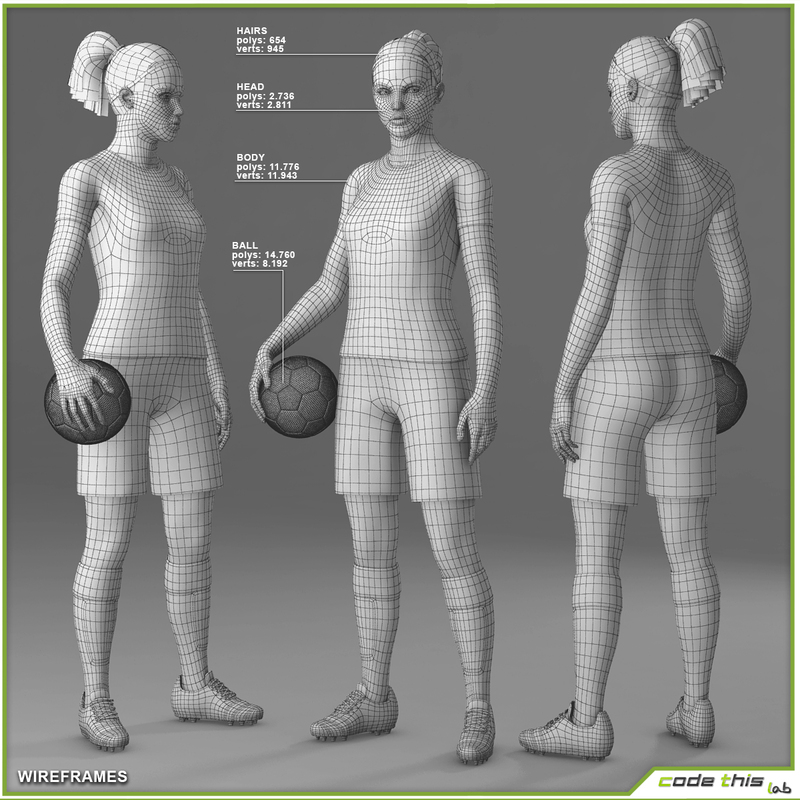 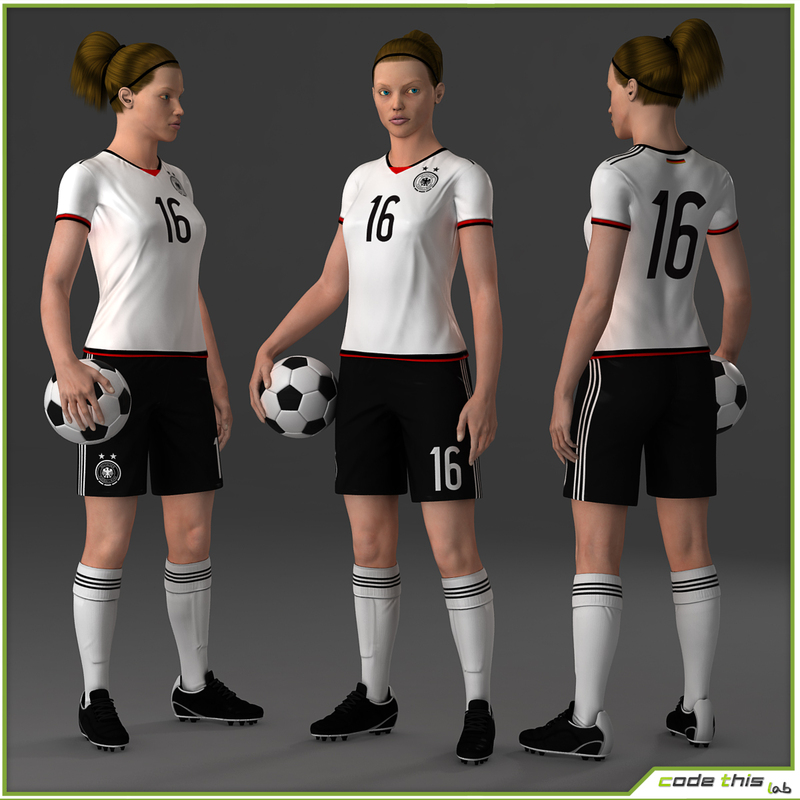 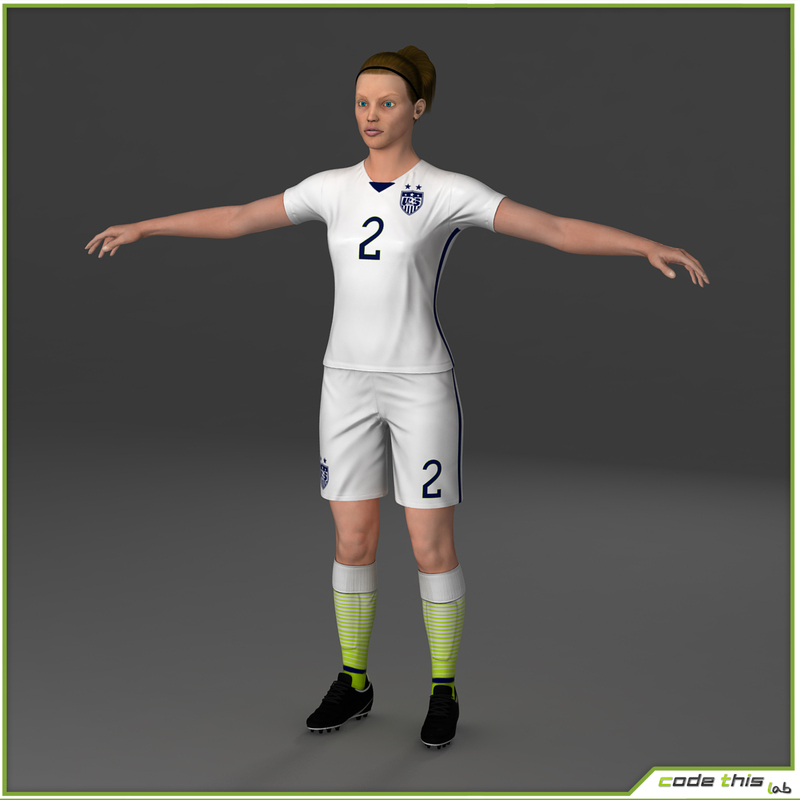 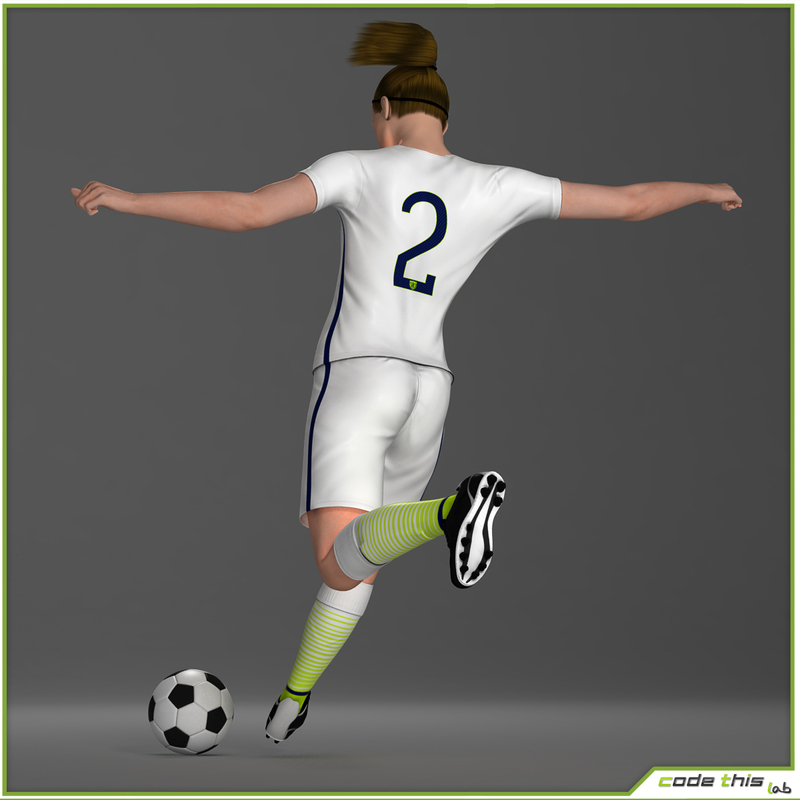 This is a high resolution female soccer player. 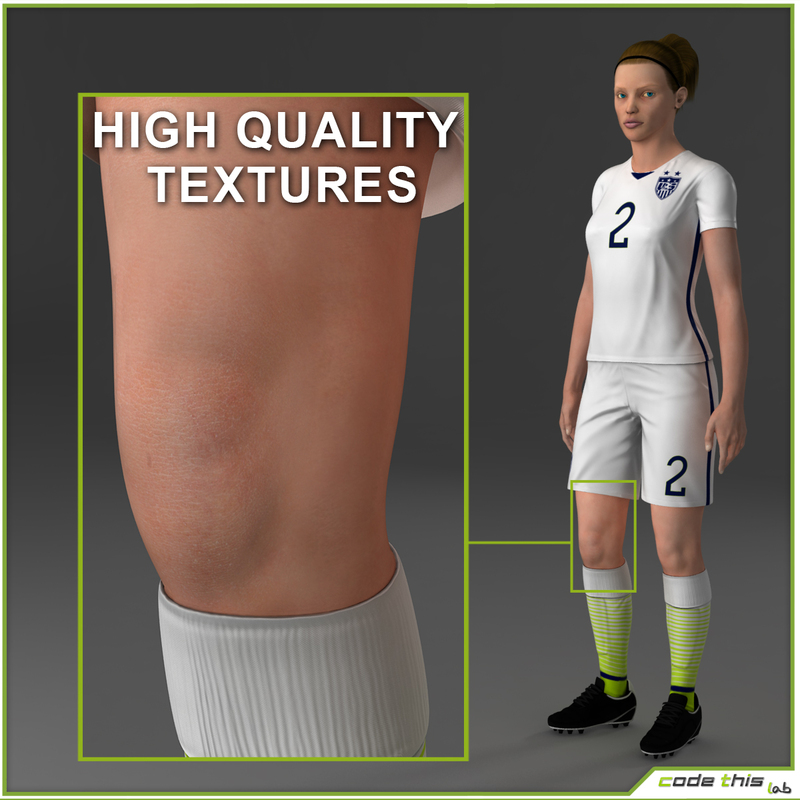 Textures are from 2048×2048 to 4096×4096.All textures are in TGA format.